Creation Entertainment’s Official Star Trek Convention returned to Boston last weekend, after a year-long hiatus. 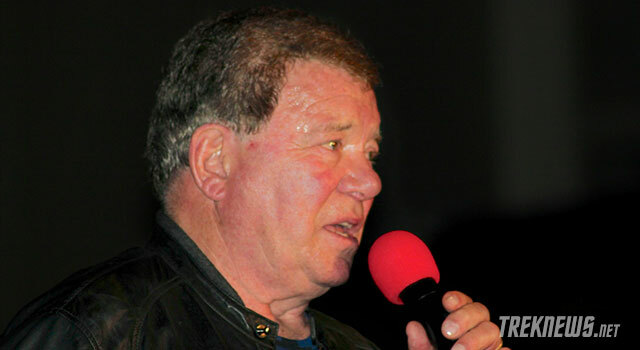 The event, which took place at the Hynes Convention Center, included a variety of Star Trek actors, writers, and personalities. 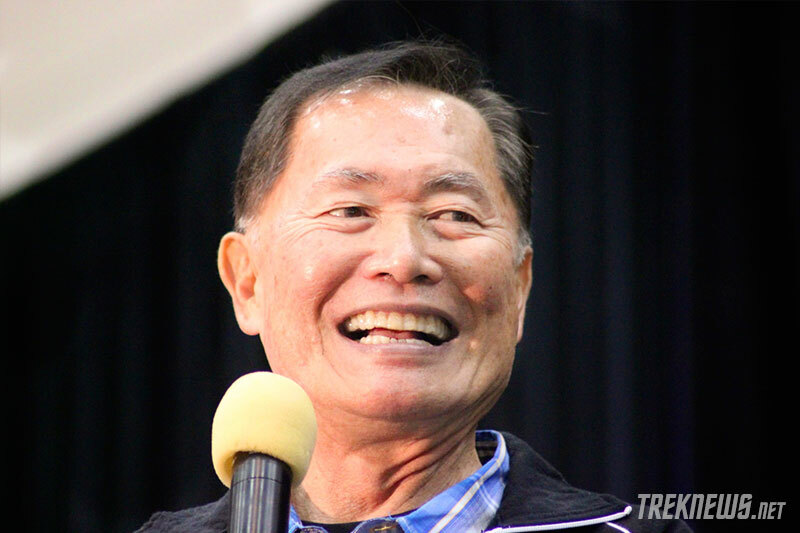 William Shatner, George Takei, Nichelle Nichols, Brent Spiner, Michael Dorn, LeVar Burton, Marina Sirtis, Gates McFadden, Denise Crosby, Nana Visitor, Rene Auberjonis, and more appeared on stage and were available for autographs and photographs with the fans throughout the two-day event. 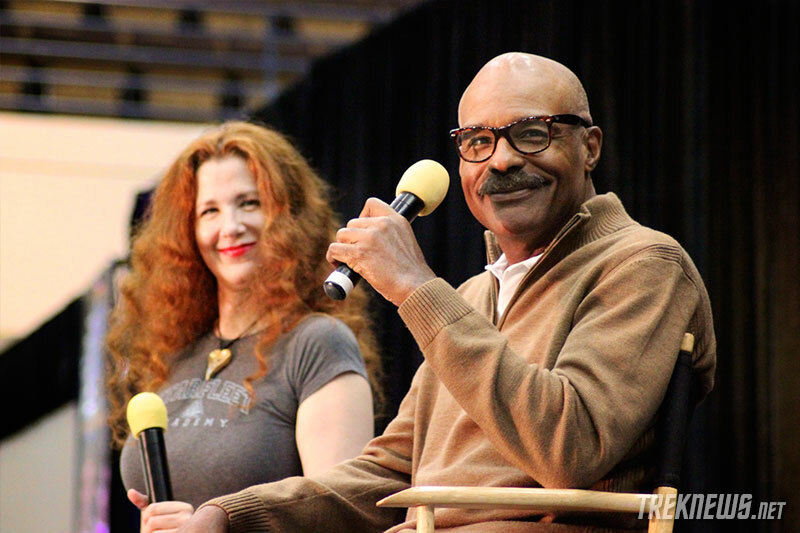 In the early afternoon, Michael Dorn and Suzie Plakston took the stage. Plakston discussed her involvement with the show; playing both the Klingon K’Ehleyr in The Next Generation and the female Q on Voyager. Dorn was asked about the Star Trek television series he pitched last year, saying “unfortunately, it won’t happen,”. Gene Roddenberry’s former assistant and Star Trek historian Richard Arnold discussed the 20th anniversary of Star Trek: Deep Space Nine. Arnold talked about the initial concept of the show and showed rare photographs. 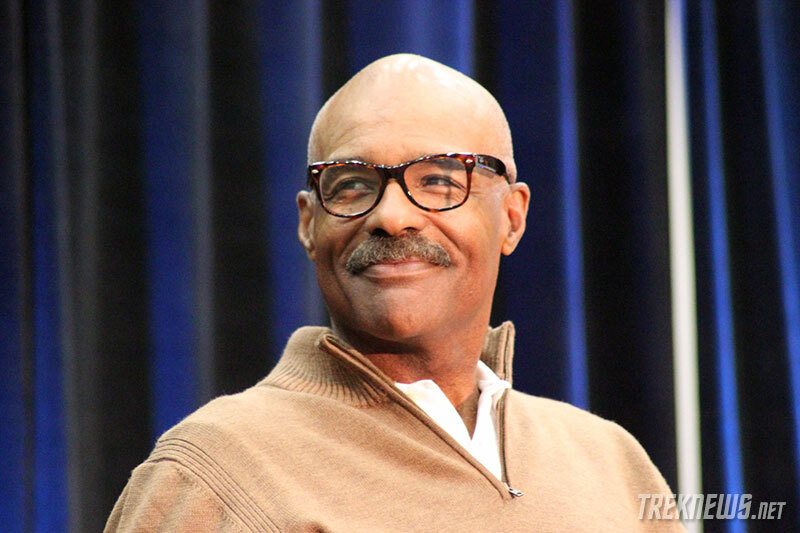 He talked about the evolution of Quark’s makeup and Cirroc Lofton’s mid-series growth spurt, which made him the tallest member of the DS9 cast. 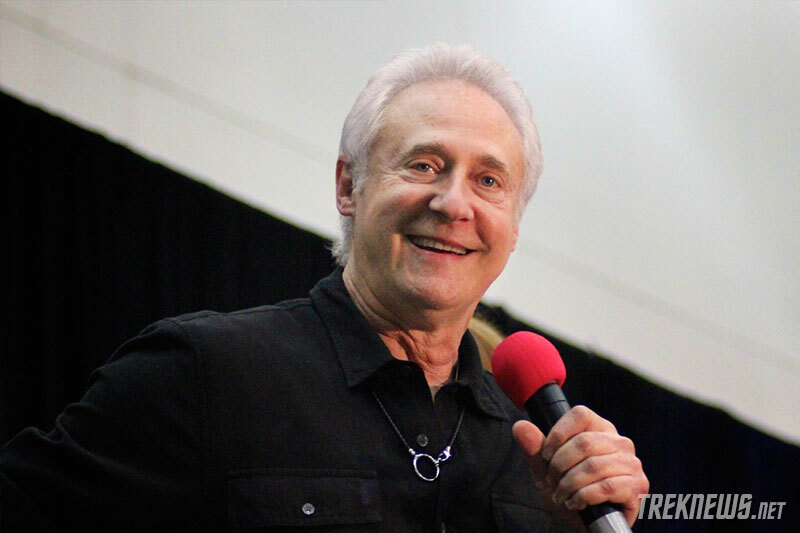 Spiner said that while they were filming TNG, he had almost no time to decompress after filming — only time to sleep. McFadden talked about her tap dancing scene with Spiner from the episode “Data’s Day.” She said that while filming the episode she was four months pregnant. She noted that her son, whom she was pregnant with at the time, is now 22-years old. When asked if he ever watches old TNG episodes, Spiner said he’s tried to show some to his son, but at this point, he’s more interested in watching Star Wars. On Sunday, the second day of the convention kicked off with former Deep Space Nine castmates Rene Auberjonis and Nana Visitor discussing their time on the show and the relationship between Odo and Kira. 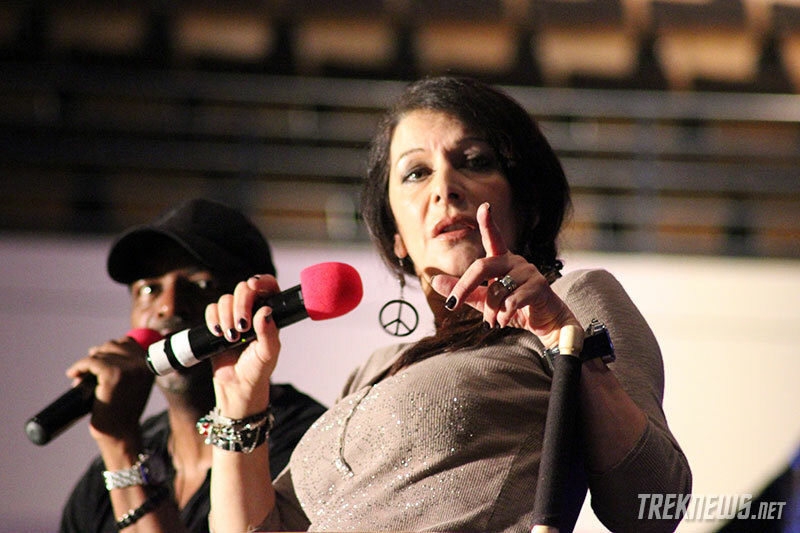 Next up, LeVar Burton and Marina Sirtis were welcomed to the stage to huge applause. The former TNG castmates discussed Star Trek’s impact on society and technology. Burton talked about the J.J. Abrams films, saying they lack Gene Roddenberry’s original vision for Star Trek. 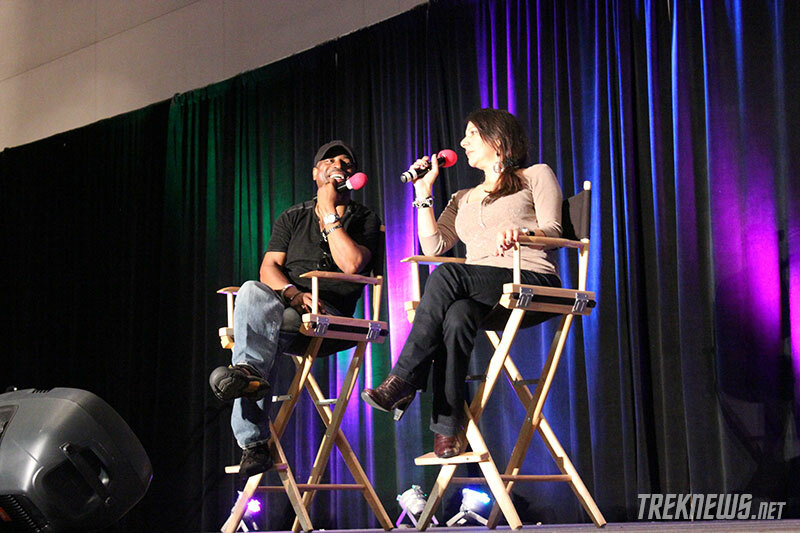 Discussing the casting process, Sirtis said she auditioned three times for Tasha Yar and three times for Deanna Troi before she was offered the role of the counselor aboard the Enterprise-D. Both Burton and Sirtis said they were incredibly thankful for Star Trek: The Next Generation and how playing those characters has positively affected their lives. 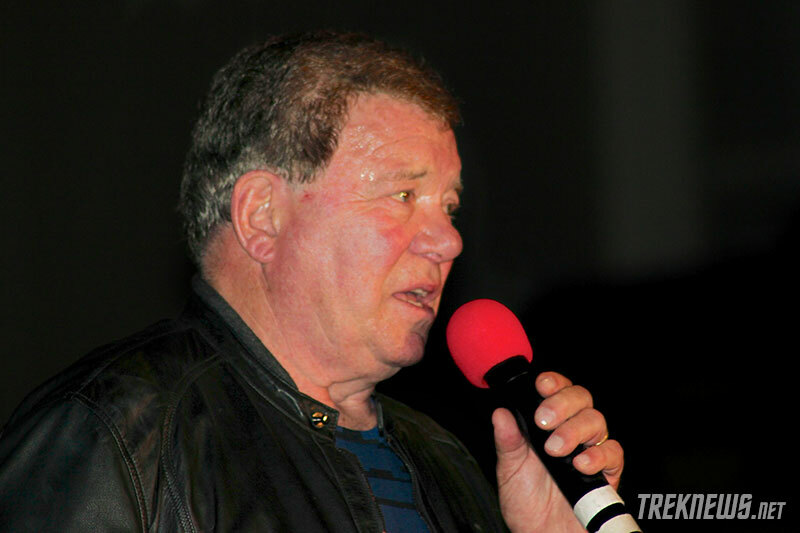 Star Trek‘s original Captain James T. Kirk, William Shatner was up next. 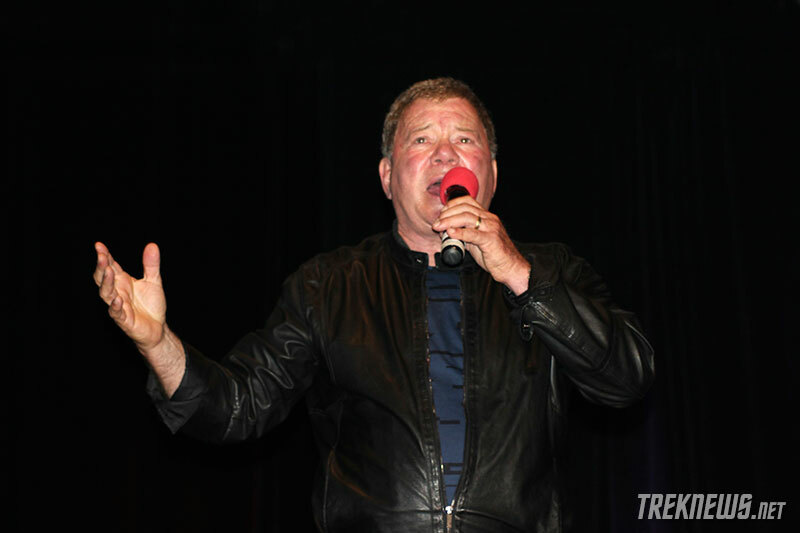 Shatner began by talking about projects he’s currently working on. He told fans that his new album, a follow up to “Seeking Major Tom,” will be released later this year. He briefly discussed Fan-Addicts, the documentary series he began work on back in 2011, saying he hopes to launch the series in the near future. He went on to talk about a podcast project he’s working on. 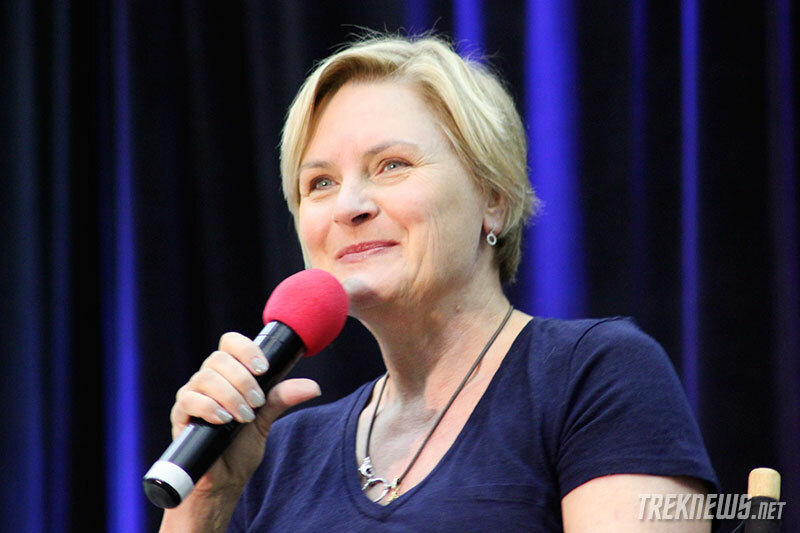 The next guest was Denise Crosby, who played Tasha Yar on TNG. Crosby said she was honored to be the Grand Marshal at yesterday’s Boston Pride Parade. Her favorite episode, she admitted, was “Yesterday’s Enterprise.” She said she loved the vulnerability and mystery of the Tasha character. She went on to say that Gene Roddenberry understood her desire to leave TNG after the first season. “I didn’t want to just stand on the horseshoe bridge and say ‘Aye aye, Captain,'” Crosby said of her decision to leave the show. 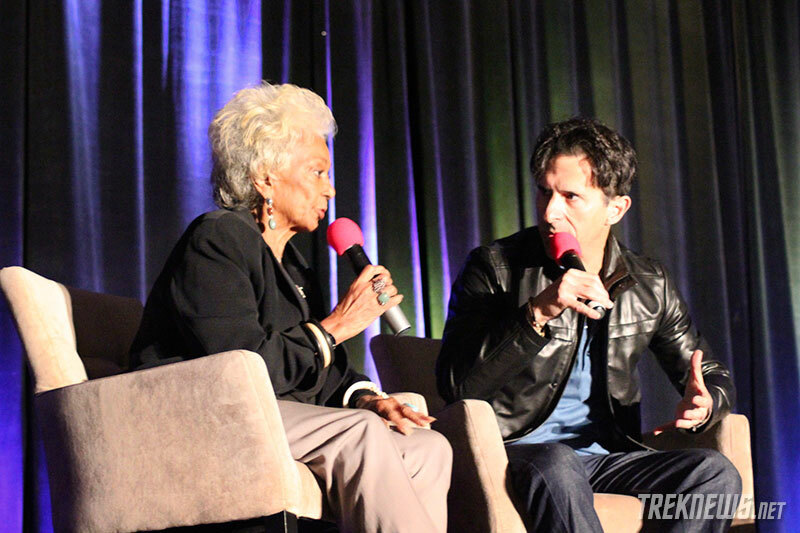 The final guest of the convention was Nichelle Nichols. She was welcomed onto the stage with huge applause and a standing ovation from the crowd. 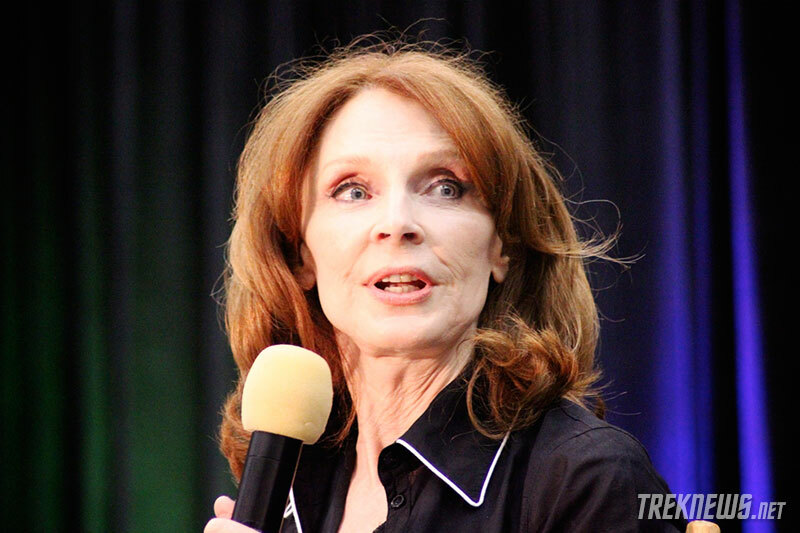 Nichols discussed her time on Star Trek along with the her career in the performing arts. The Official Star Trek Convention will return to Boston next summer, June 21 – 22, 2014, and will again be held at the Hynes Convention Center.